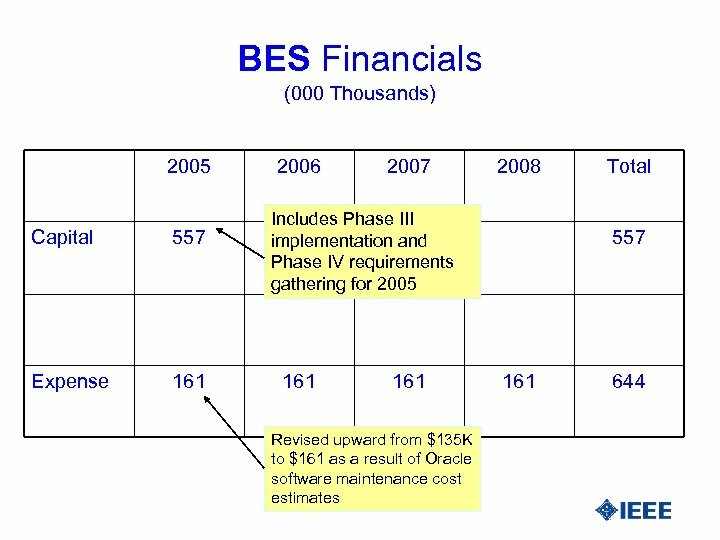 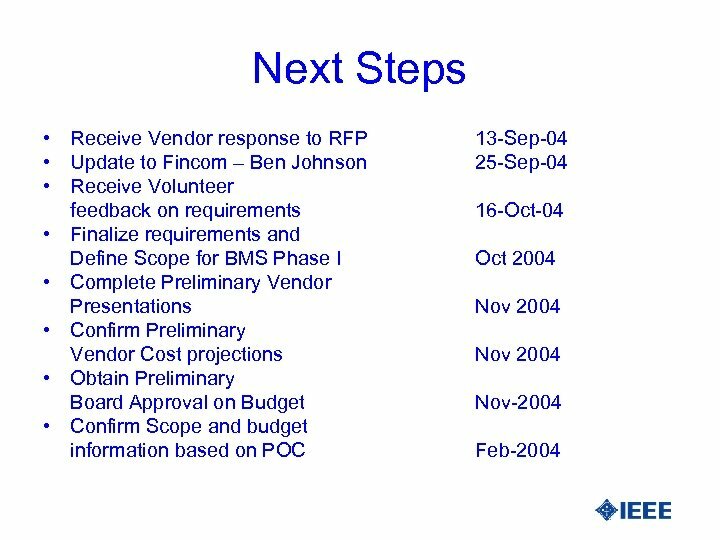 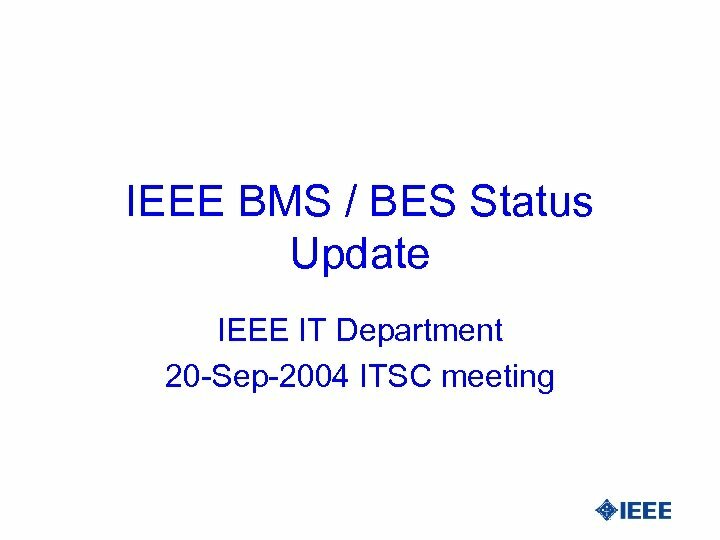 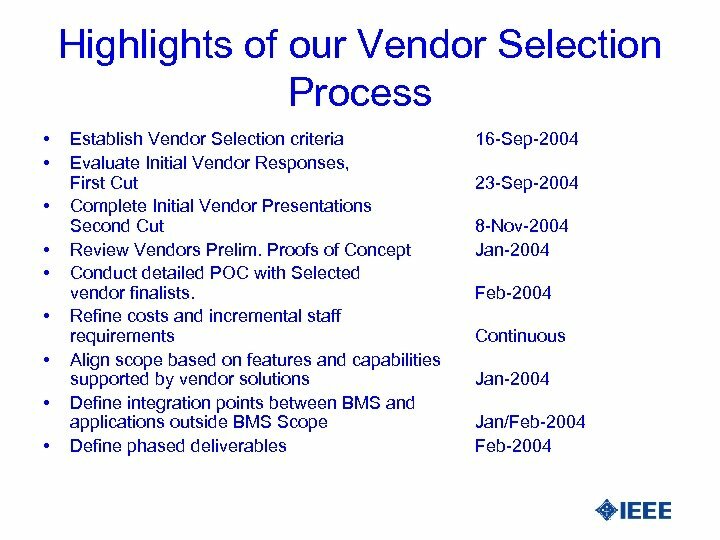 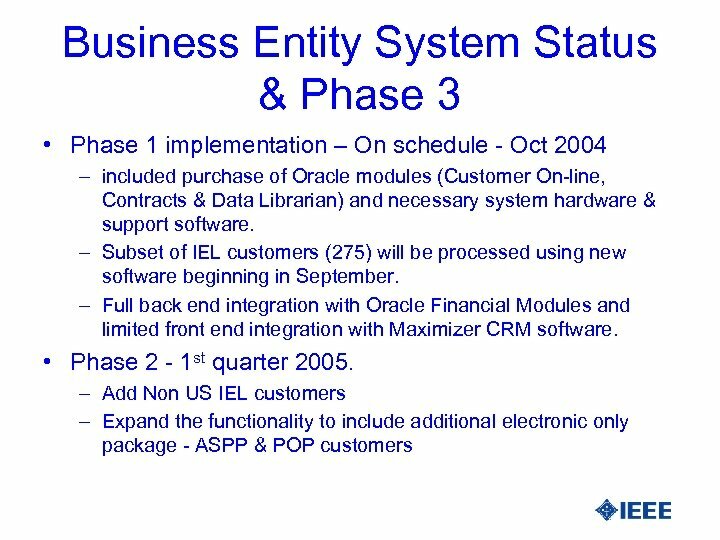 BES Project investment Phase 1 and 2 • 2003 / 2004 – Invested app. 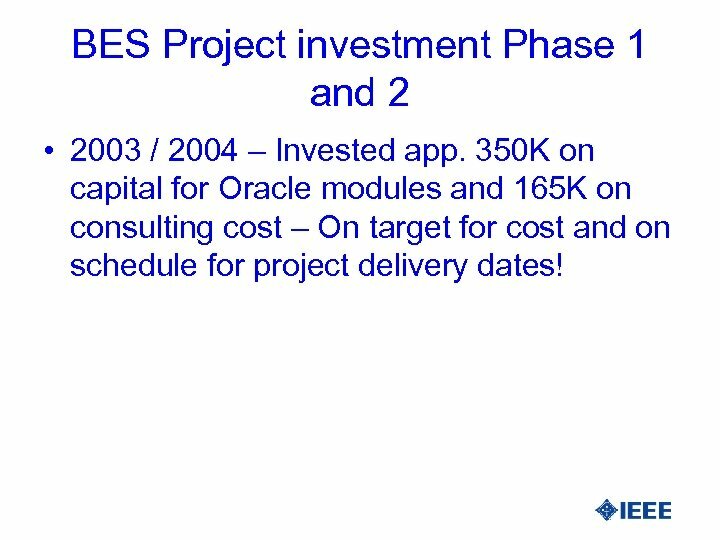 350 K on capital for Oracle modules and 165 K on consulting cost – On target for cost and on schedule for project delivery dates! 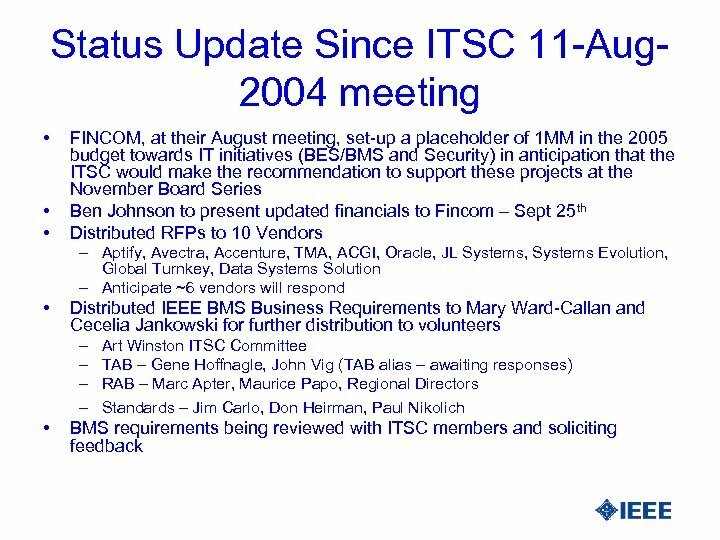 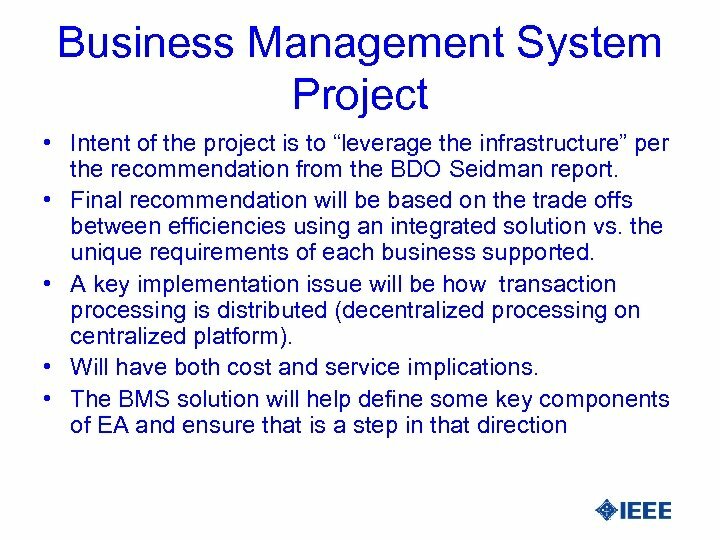 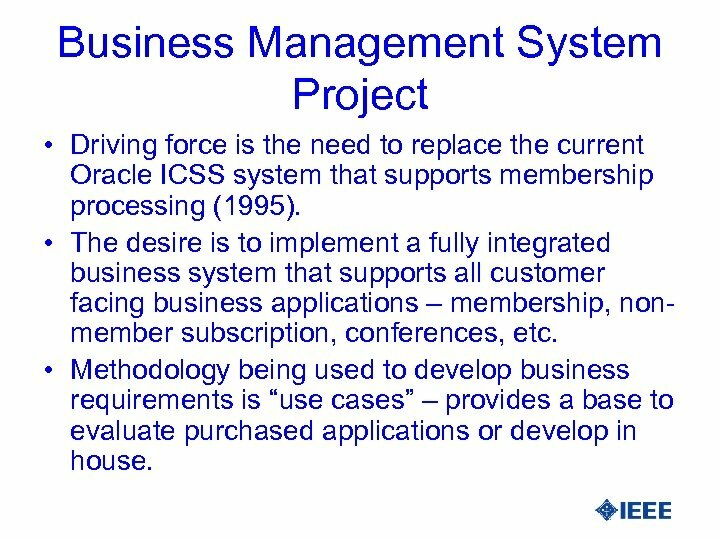 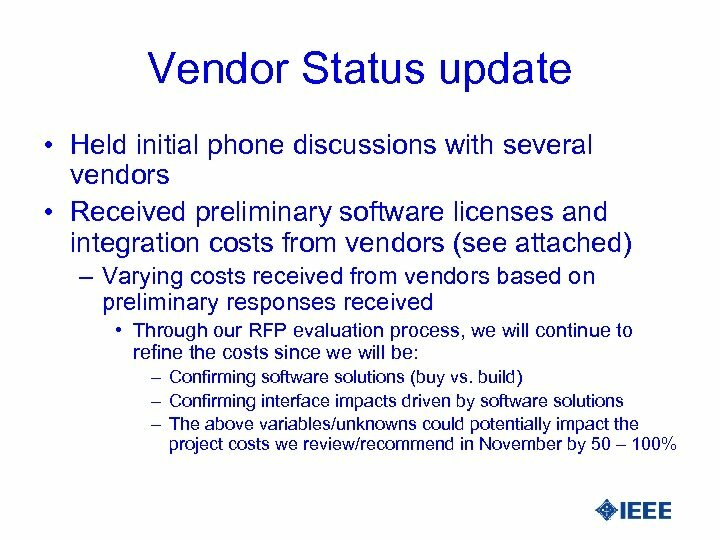 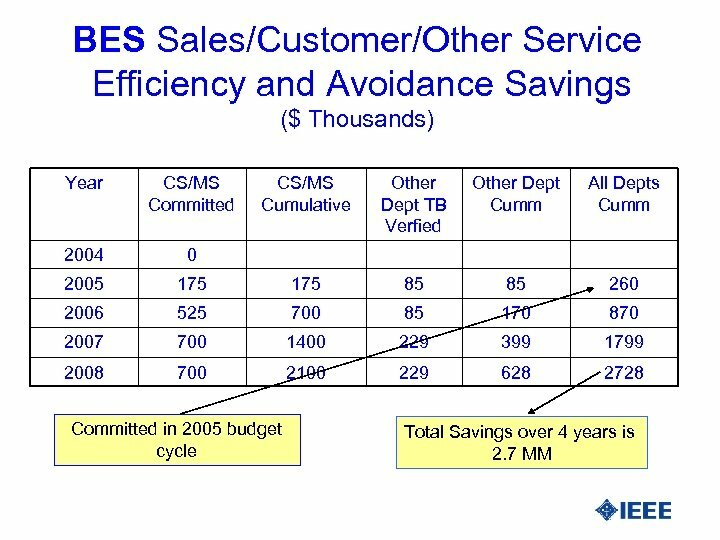 Business Management System Project • Driving force is the need to replace the current Oracle ICSS system that supports membership processing (1995). 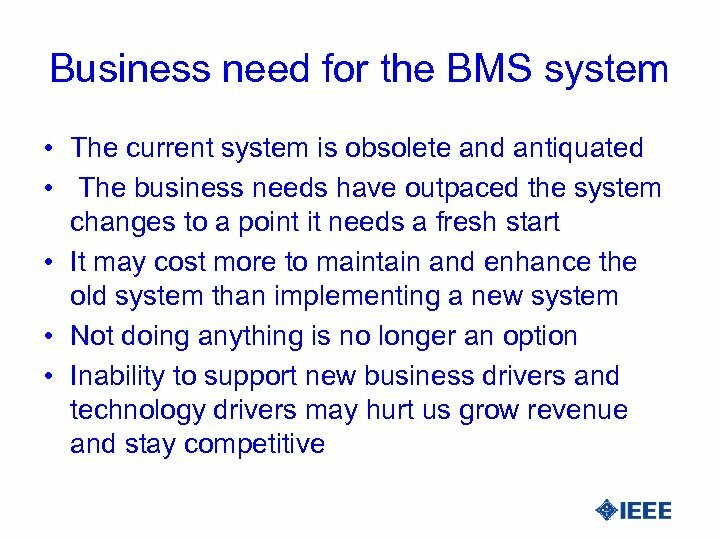 • The desire is to implement a fully integrated business system that supports all customer facing business applications – membership, nonmember subscription, conferences, etc. 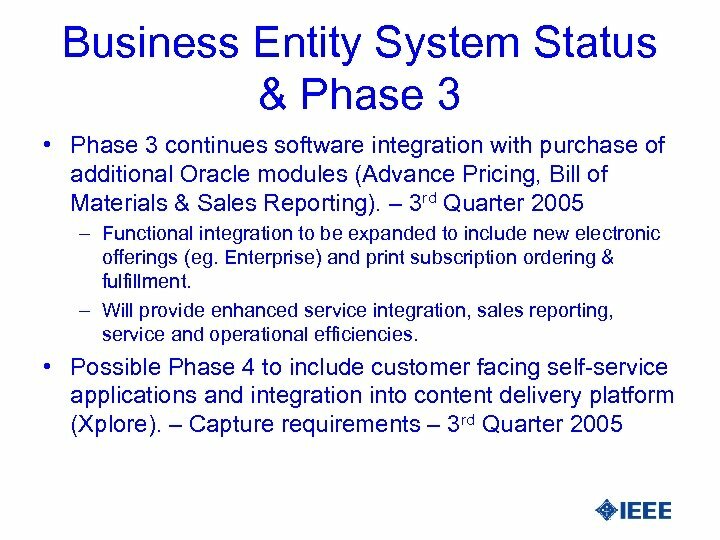 • Methodology being used to develop business requirements is “use cases” – provides a base to evaluate purchased applications or develop in house.